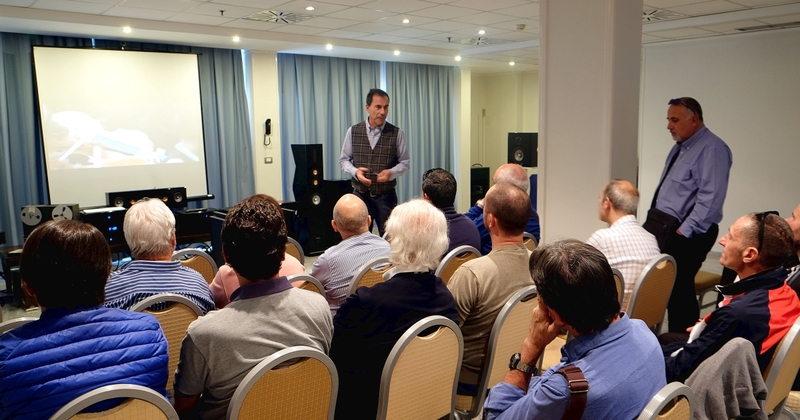 Marco Cicogna, with the Multichannel, brings the audience inside the event by the Stereo Plus system. 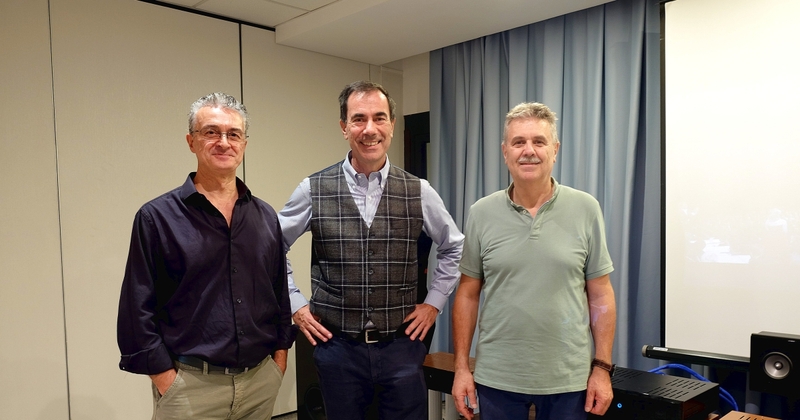 Marco Cicogna’s remarkable expertise in Classical Music has given a strong emphasis to the extraordinary sound results expressed by the Blue Moon Audio system. In the roman event, also by the Multichannel listening with the Stereo Plus system, the fans were projected into the whole sound event. 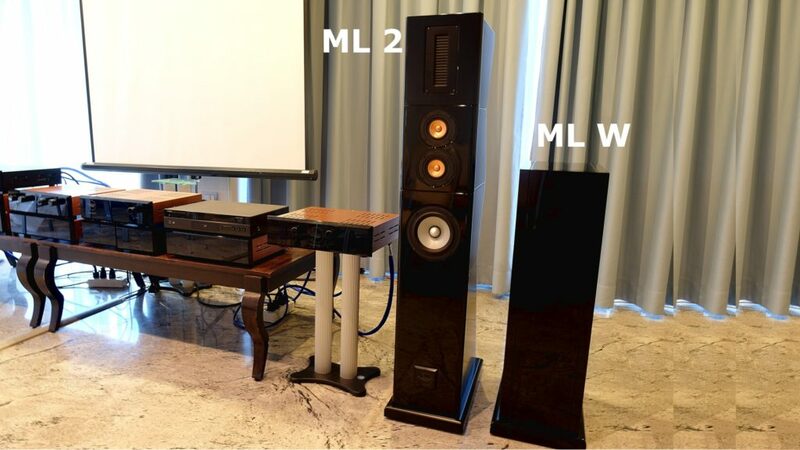 The ML 2 modular front diffusers with rear emission (4-way with separate wooer in air suspension), drived in bi-amplification by two 1,500-watt power amplifier (towers) and two 300-watt power amplifier (woofer). 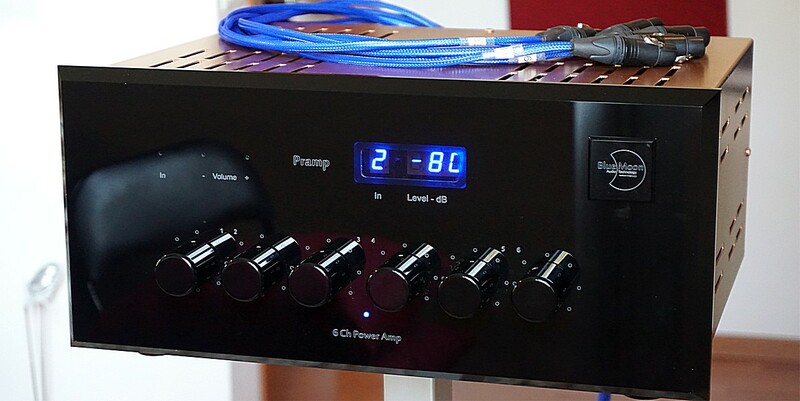 This allowed the ML 2 to work on sustained volumes, sounding effortlessly the great environment by the great power, without the slightest hardening in the most difficult passages. 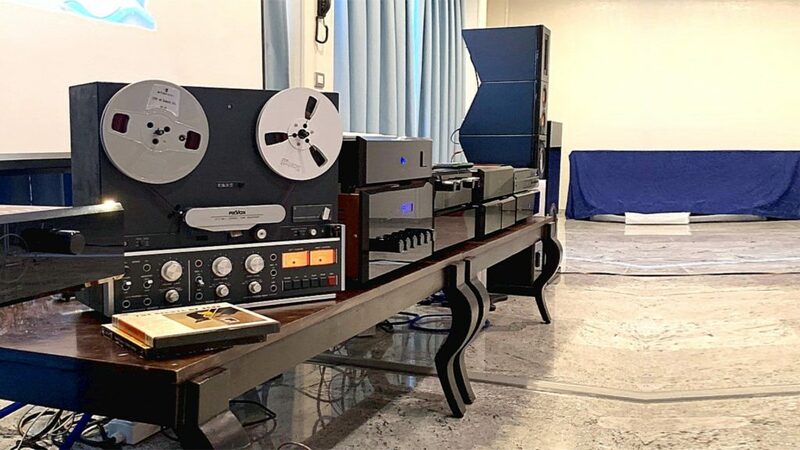 The Preamp and the DAC with several copper box frames with separate power supplies, together with the historic Interface file reader and the top-of-the-range Blue Moon cables, they have completed the work. 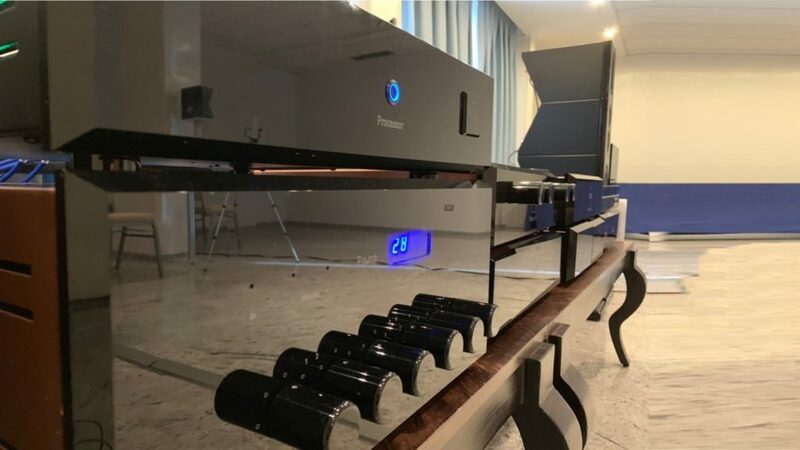 But it is with the insertion of the Stereo Plus, a system that allows to process the signal and allow the listening in Multichannel of all the available Music (both analogue and digital), which have reached high levels of involvement. 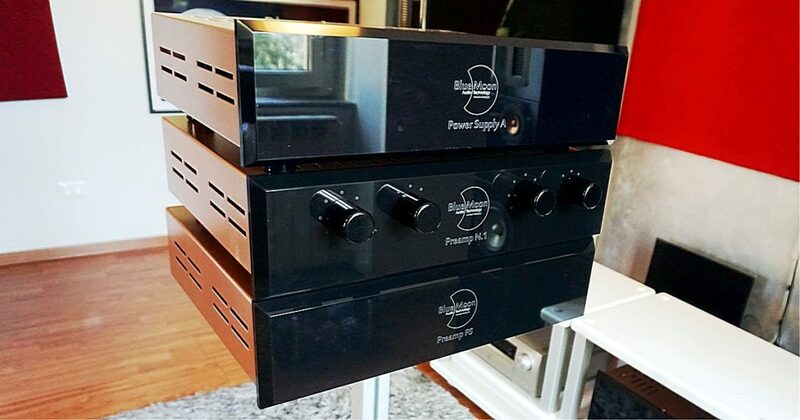 Stereo Plus. Above the multi-channel processor. This exciting result has been achieved even by the beautiful video images of the concerts chosen with extreme competence by Marco Cicogna. He led the listening of many Classical Music tracks in Multichannel, starting from Stereo disks, making the differences between one performance and another, between an orchestra and another, and highlighting the different environments where the executions took place. 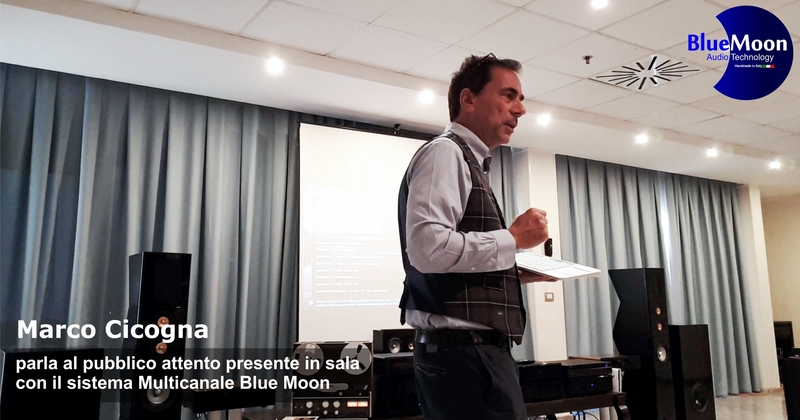 The audio experience of Rome, by the quality of Blue Moon products and the musical knowledge of Marco Cicogna, made the Multichannel appreciate as it had never been heard before. 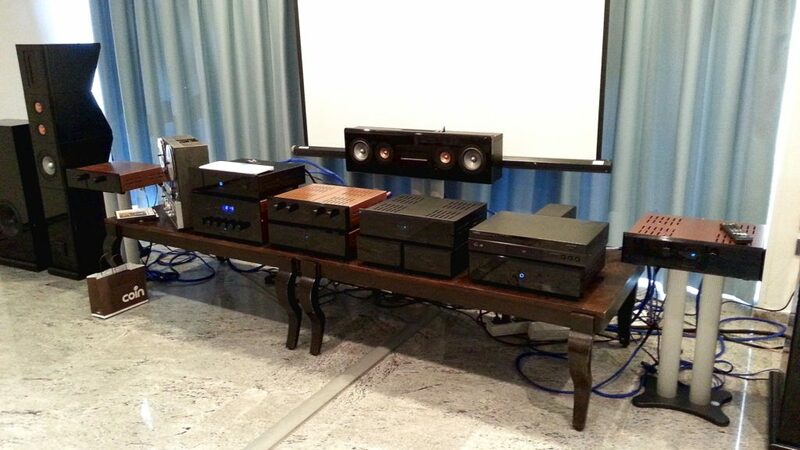 The Multi-channel system that has performed at the event.